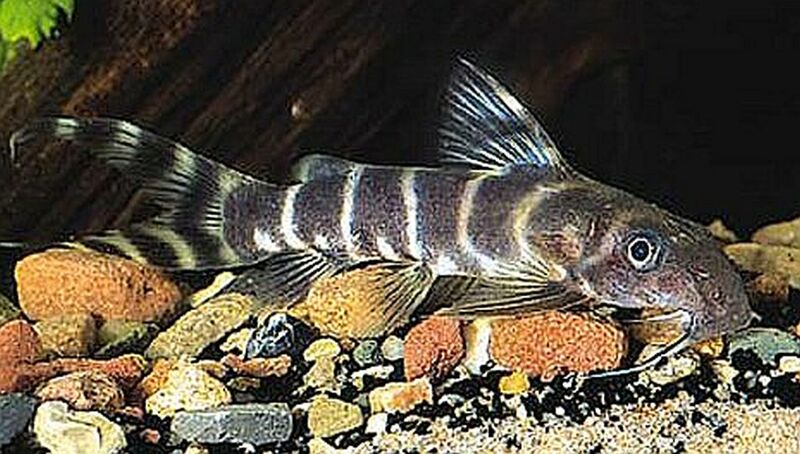 The Brichard’s Synodontis (Synodontis Brichardi) is a species of upside down catfish that is found in the heavy, turbulent, river rapids of the lower Congo at Kinsuka, Kinshasa, Zaire. Brichard’s Synodontis will thrive in tanks that have good quality water conditions, a moderately strong oxygenated current, and good filtration. In an aquarium environment, an external power filter or a canister filer with a spray bar will work nicely, but they still require frequent partial water changes. Being a relatively shy species, their tank should have a fine gravel bottom with large stones scattered about, and rock ledges with caves for them to hide in. Because they occasionally dig in the substrate, well rooted or potted plants are a must. 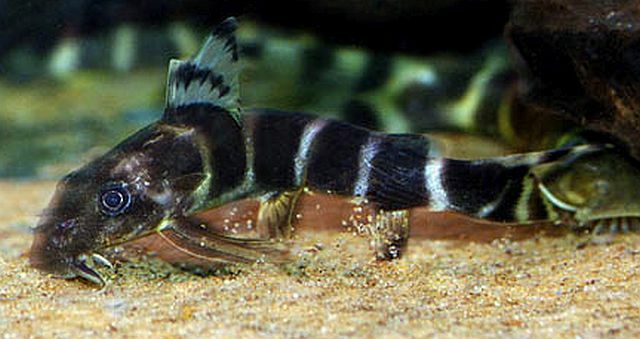 Synodontis Brichardi are a peaceful species that can be somewhat territorial with their own kind, other synodontis catfish species, and some plecostomus. Being slightly territorial, they may chase small fish that rest on the bottom of the tank at night. They can be housed with medium to large fish such as Gouramis, Mormyrids, Congo Tetras, West African cichlids, and some of the larger barbs. Brichard’s Synodontis have never been successfully bred in captivity. In their natural habitat, Brichard’s Synodontis feed on algae and insect larvae. In an aquarium, they will accept most prepared food flakes, Spirulina pellets, algae wafers , chopped spinach leaves, blanched cucumbers, etc. Their veggie diet should be augmented with regular feedings of live or frozen brine shrimp, mosquito larvae, tubifex , or bloodworms. These fish must have live foods in their diet to thrive in captivity. 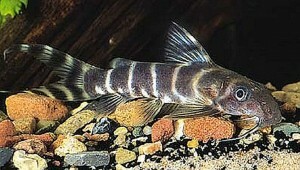 Brichard’s Synodontis is not a common species but can be obtained online or from specialty tropical fish shops. When available, they are quite pricey and are sold as juveniles and near adults.